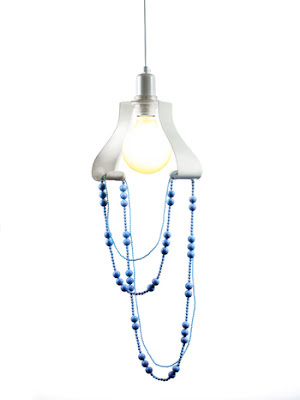 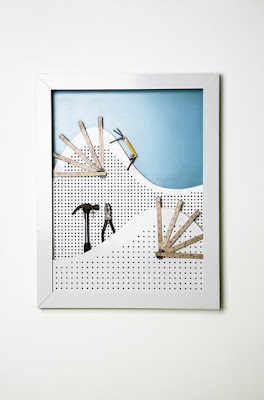 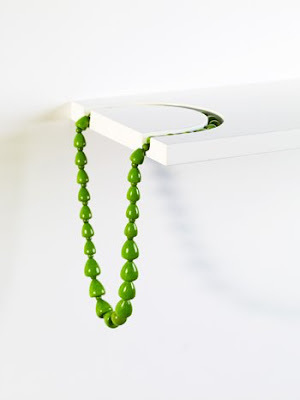 Creation of Swedish designer Malin Lundmark who works with functional design, often with a poetic value added to it. 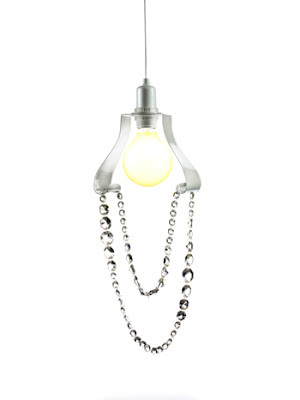 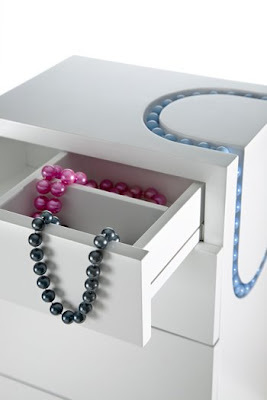 Here we have a collection of furniture which is quite distinctive with integrated pearl necklaces decorating them! 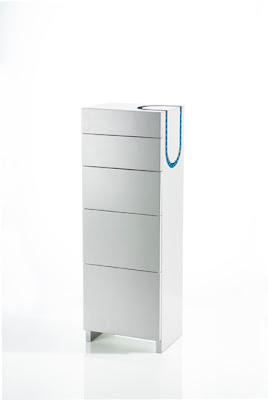 A huge box shaped jewelry case. 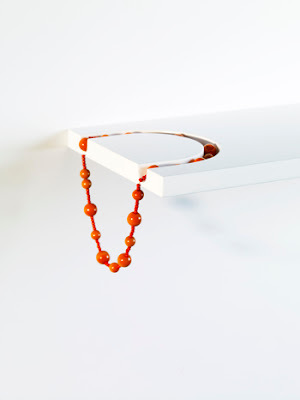 A wall clinging shelf where one can store their necklace. 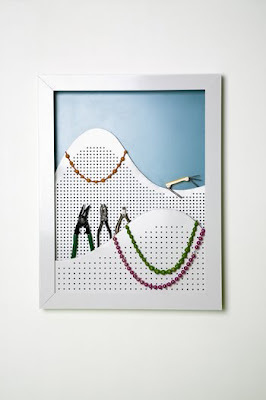 A decorative storage board for necklaces.